New Delhi, Nov 16: Wondering why a notice inviting tenders mentioned only AgustaWestland's name, the Supreme Court on Thursday directed that the records related to purchase of a VIP helicopter by the Chhattisgarh government be placed before it in a week. A bench of Justice Adarsh Kumar Goel and Justice Uday Umesh Lalit summoned all files and documents on the purchase of AgustaWestland VIP helicopter as it was told that the bids were invited in disregard of then state Chief Secretary's suggestion for floating a global tender to ensure bids from other chopper manufacturers as well. The court directed for further hearing on November 23. The name of Chhattisgarh Chief Minister Raman Singh's son too is being mentioned in connection with the deal. The court asked senior counsel Mahesh Jethmalani, appearing for the Chhattisgarh government, as to why the notice inviting tenders mentioned the name of helicopter of AgustaWestland only. Why were other companies not considered even though the then Chief Secretary, in his note, said that the government should consider inviting global tenders, the apex court questioned. 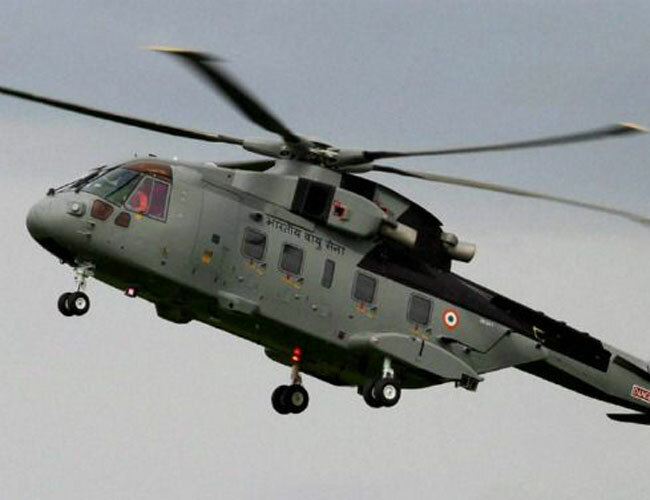 Jethmalani said the tender for chopper purchase was limited to AgustaWestland only as both the then Civil Aviation Secretary and the Chief Pilot had recommended the chopper by saying that they were much superior and would meet the required standards. Not satisfied with the state government's reply on its choice of AgustaWestland chopper only, the bench directed for the presentation of the deal file within a week. The Chhattisgarh government had asked for two-week time. Attorney General K.K. Venugopal questioned the maintainability of the petition filed by NGO Swaraj Abhiyan and T.S. Singhdeo, who is leader of the Opposition in the Chhattisgarh assembly. Even in an earlier hearing, the issue of the petition's maintainability was raised on the grounds of locus standi. The court was told that judicial forums can't be used, and recourse taken to Article 32 of the Constitution, to settle political scores.